President Xi Jinping has become China's most powerful leader since Mao Zedong. 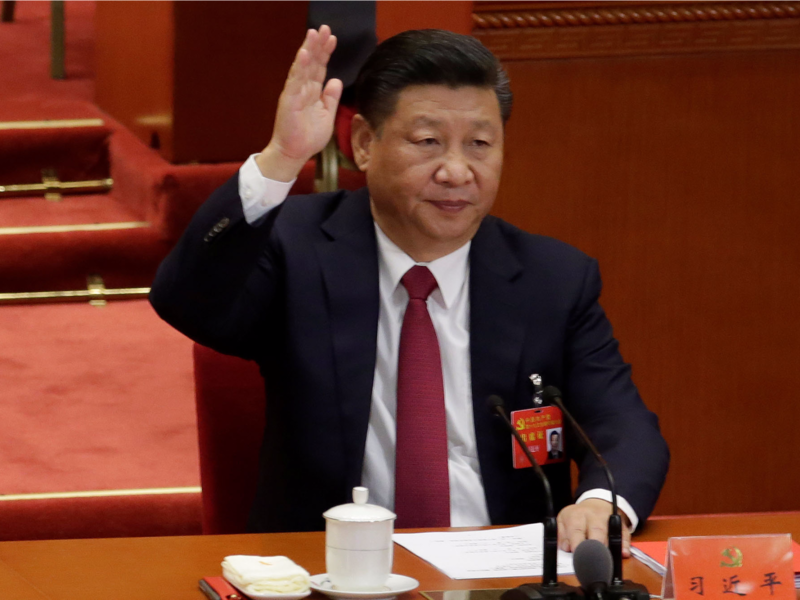 Xi's name was added to China's constitution on Tuesday, the first time a living leader's name had been added since Mao ruled from 1935 until his death in 1976. The political ideologies of China's presidents have usually been added to the country's constitution, but only Mao and Xi have been named in the title of those theories. The amendment, called "Xi Jinping Thought on Socialism with Chinese Characteristics for a New Era," was approved by all 2,300 delegates attending the congress. Xi is now considered the most important party leader alive — above former presidents and his eventual successor. This departure from tradition indicates immense party support for Xi and his strict leadership style; that support could be crucial as Xi eyes a potential third term as president, which would also break with the two-term tradition. The biggest indicator for Xi's 2022 plans could emerge Wednesday, when the party's new senior leadership is announced. If Xi does not give a nod to a young and experienced successor under 60 years of age, or ignores unofficial retirement-age rules, it may indicate the Chinese president will seek a third term in the next five years. The Chinese constitution stipulates that a president can serve only two five-year terms. Xi, however, could rally party support to stay for a third term or continue leading from his other role of party secretary-general — which actually outranks the president. Both options are more likely with Xi's strong party support. Another option is to revive the title of party chairman, a label that has not been used since Mao held it. During the congress' closing session, party leaders referred to Xi as the country's "core" leader, a term first used to describe Mao. Catalonia's vice president says Spanish authorities are giving separatists in the prosperous northeastern region "no other option" but to push ahead with proclaiming a new republic. Oriol Junqueras told The Associated Press on Wednesday that his party — one of two in the ruling separatist Catalan coalition — is "going to work toward building a republic, because we understand that there is a democratic mandate to establish such a republic." 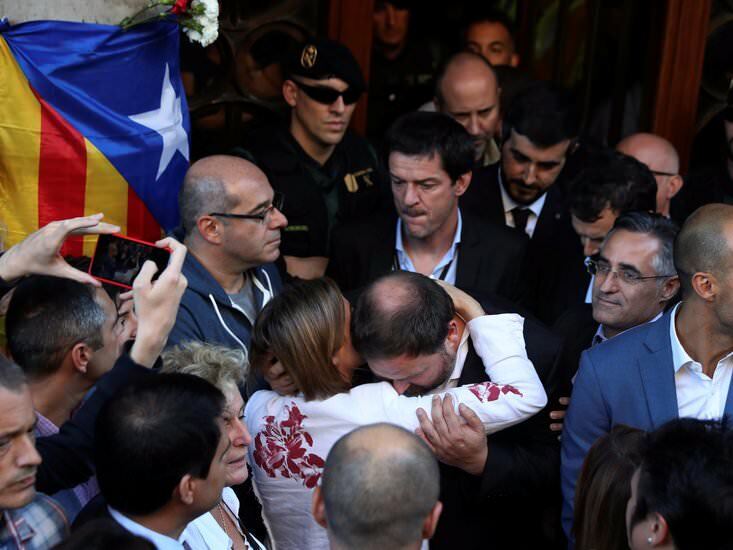 But Junqueras insisted he was speaking on behalf of his Republican Left party and not for the regional government of President Carles Puigdemont. He said the Spanish government "is giving us no other option." His remarks come amid frantic jockeying in the Catalan government on how to respond to plans by Spanish authorities to fire them and directly manage the region's affairs. Catalan media has strongly criticized plans by the Spanish government to take control of the outlets as part of a move to invoke constitutional authority over Catalonia following the region's push for independence. A joint statement by TV3, Catalunya Radio and the news agency ACN Wednesday described the plan as "a direct attack on the citizens of Catalonia." The statement, read out in six languages by television and radio anchors during a news conference, said Catalan public media was highly trusted and rated, and the Spanish government's threat to take control was "a denial of the right to true, objective, pluralistic, balanced information." House lawmakers on Tuesday voted overwhelmingly in favor of new sanctions designed to curtail China's support for North Korea. Rep. Andy Barr, R-Ky., wrote the legislation to impose sanctions on "virtually anyone that facilitates trade and investment with North Korea." Chinese companies represent the chief target of those measures, as China stands as the leading patron of North Korean dictator Kim Jong Un's regime. The legislation also builds upon U.S. efforts to stiffen economic sanctions at the United Nations Security Council, in the face of Russian and Chinese recalcitrance. 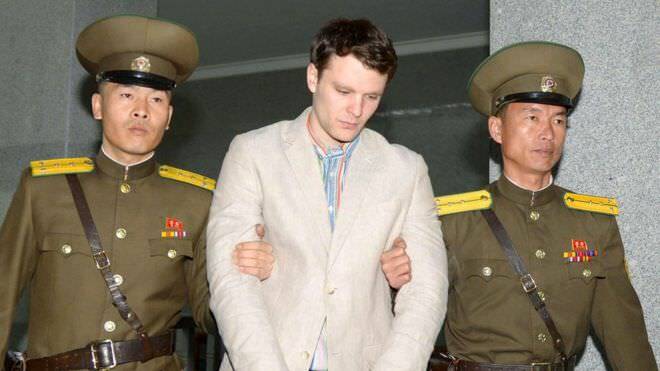 The bill — the Otto Warmbier North Korea Nuclear Sanctions Act — is named for the American college student who was arrested while traveling in North Korea and died shortly after being returned to the U.S. in a coma. The bill passed in a 415-2 vote. "While many of us would welcome Chinese efforts to get tough on Pyongyang, such efforts sadly have not been forthcoming," Barr said at a recent Financial Services Committee hearing. "It is time to say, 'Enough is enough.'" The sanctions are designed to impede North Korean imports and exports, including its oil and textiles. President Trump's team and western allies sought to impose a strict oil embargo through the U.N. Security Council, but had to settle for a more modest sanctions package due to the threat of a veto from China or Russia. Cuban officials investigating U.S. complaints of attacks that sickened American diplomats in Havana said talk of acoustic strikes was “science fiction” and accused Washington of “slander” while it refused to cooperate fully with Cuba’s enquiry. U.S. President Donald Trump said last week he believed Havana was responsible for 24 diplomats being harmed. Washington expelled 15 Cuban diplomats and recalled more than half the U.S. diplomatic personnel from Havana earlier in October. While Cuba denounced the expulsions as “unjustified” and accused the United States of insufficient cooperation, three Interior Ministry officials and a doctor heading the inquiry provided more details in an interview in Havana on Sunday. Cuba had deployed about 2,000 security officials and experts, from criminologists to audiologists and mathematicians, to investigate the incidents after it became aware of them in February, the investigators said. The probe has not ended but so far has failed to uncover any evidence to corroborate allegations of attacks that the United States says have caused hearing loss, dizziness, fatigue and cognitive issues for diplomatic personnel who were based on the Communist-run island. 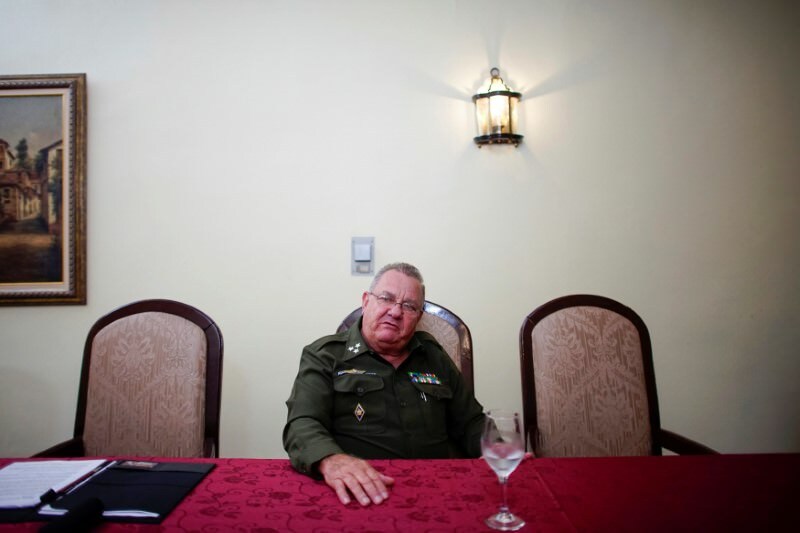 “This is slander by the United States,” said Coronel Ramiro Ramirez, responsible for the security of diplomats in Cuba. The man who came down with first known case died on August 27. He'd been ill for a few days with what was thought to be malaria, according to the World Health Organization. It turned out to be pneumonic plague, which is the most contagious and deadliest form of the disease, since it can spread through the air when people cough. The man, who is unnamed in WHO documents but described as 31 years old, died while traveling by bush taxi, a form of public transport in Madagascar. He was en route to the coastal city of Tamatave from the Ankazobe District in the central highlands, and had passed through the capital city of Antananarivo. 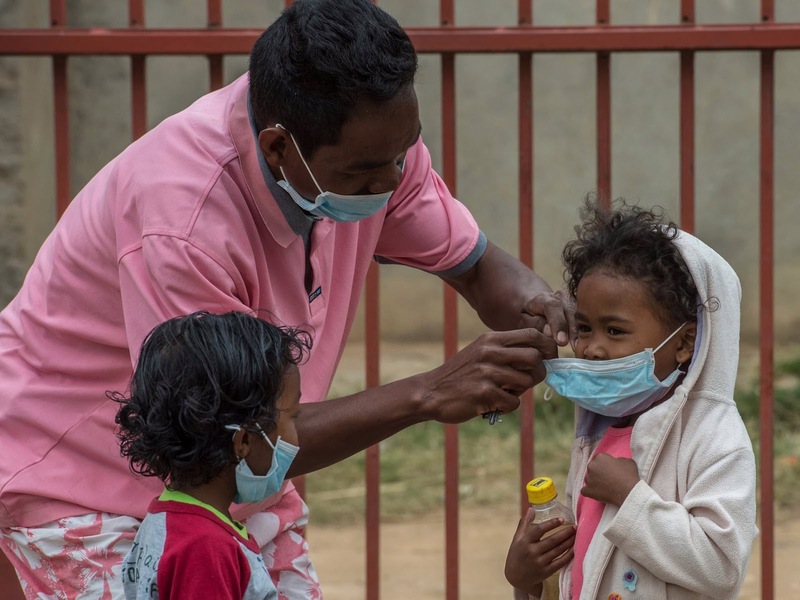 Plague cases started to appear throughout Madagascar shortly after that, with a number traced to people that man came into contact with, and then to people those individuals encountered. By October 12, 57 deaths from the outbreak had been confirmed. As of October 25, 124 people have died and more than 1,100 have been infected, according to Reuters. Plague can be treated effectively with antibiotics if it's caught early enough. Earlier this month, the WHO announced that they'd delivered 1.2 million doses of antibiotics to the island nation and authorized $1.5 million in funding to help fight the disease. But the rapid spread of this outbreak is causing international alarm. 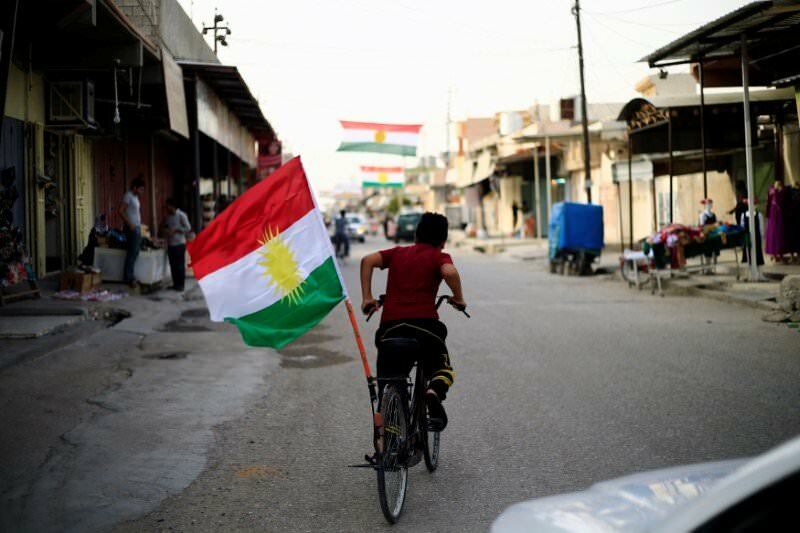 Kurdish authorities in Iraq offered on Wednesday to put an independence drive on hold, stepping up efforts to resolve a crisis in relations with Baghdad via dialogue rather than military means. But a Iraqi military spokesman suggested an offensive -- launched to wrest back territory after Kurds voted overwhelmingly for independence in a disputed referendum in September -- would continue regardless. The Iraqi government has transformed the balance of power in the north of the country since launching its campaign last week against the Kurds, who govern an autonomous region of three northern provinces. "The fighting between the two sides will not produce a victory for any, it will take the country to total destruction," said the Kurdistan Regional Government (KRG) in a statement. The KRG proposed an immediate ceasefire, a suspension of the referendum result, and "starting an open dialogue with the federal government based on the Iraqi Constitution". Baghdad declared the referendum illegal and responded by seizing back the city of Kirkuk, the oil-producing areas around it and other territory that the Kurds had captured from militant group Islamic State. In a brief social media comment hinting that the campaign would continue, an Iraqi military spokesman said: "Military operations are not connected to politics." Prime Minister Haider al-Abadi has said the KRG should cancel the vote's outcome as a pre-condition for talks. He had yet to react to the Kurdish proposal on Wednesday, when he began an official visit to neighboring Turkey and Iran during which relations with the Kurds -- whose communities are established in parts of all three countries as well as Syria -- will be high on the agenda. A Turkish court on Wednesday ordered the release on bail of eight human rights activists, including the director of the local branch of Amnesty International, pending a verdict in their trial on terrorism charges. The case against the activists, who number 11 in total and who face up to 15 years in prison if found guilty, has become a flashpoint in Turkey’s tense relations with Europe and heightened concern that an important NATO member is sliding further towards authoritarianism under President Tayyip Erdogan. 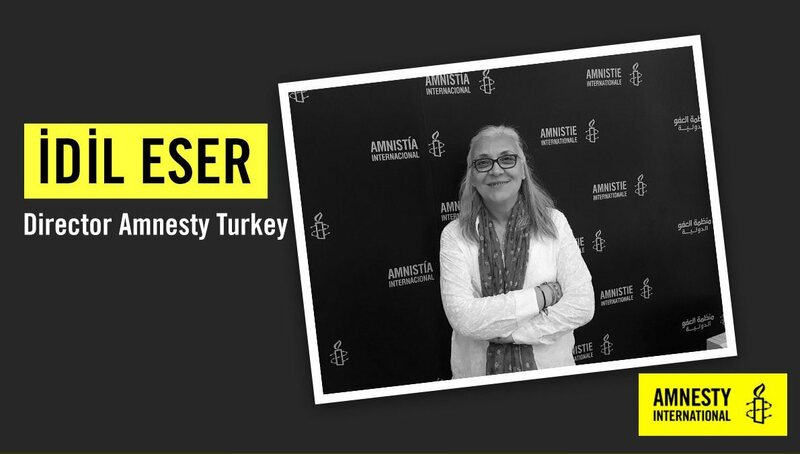 Among those ordered released were Idil Eser, the director of Amnesty in Turkey, as well as Peter Steudtner, a German national, and Ali Gharavi, a Swede. Under the terms of their release, Steudtner and Gharavi are not required to remain in Turkey before the next court date on Nov. 22. Two other activists were released on bail prior to the start of Wednesday’s trial. Another, Amnesty’s local chairman, is still being held in the coastal province of Izmir where he faces charges in a separate case. “I think we’re all more than relieved,” a tearful Steudtner told reporters after he walked out of the Silivri prison, outside of Istanbul, a few hours later. The case had brought widespread condemnation from rights groups, some Western governments and, on social media, prominent activists such as Edward Snowden. Almost all of the eleven were detained in July after participating in a workshop on digital security held on an island off the coast of Istanbul. The prosecutor has alleged a range of charges, including helping the Kurdistan Workers Party (PKK) and the network of U.S.-based cleric Fethullah Gulen, accused by Ankara of engineering last year’s coup attempt. Cyber attacks using malware called “BadRabbit” hit Russia and other nations on Tuesday, affecting Russian Interfax news agency and causing flight delays at Ukraine’s Odessa airport. While no major outages were reported, the U.S. government issued a warning on the attack, which followed campaigns in May and June that used similar malware and resulted in what some economists estimated are billions of dollars in losses. The attacks are disturbing because attackers quickly infected critical infrastructure, including transportation operators, indicating it was a “well-coordinated” campaign, said Robert Lipovsky, a researcher with cyber firm ESET. More than half the victims were in Russia, followed by Ukraine, Bulgaria, Turkey and Japan, according to ESET. The U.S. Department of Homeland Security issued a warning on the BadRabbit ransomware, a type of virus that locks up infected computers and asks victims to pay a ransom to restore access. It did not identify any U.S. victims but advised the public to refrain from paying ransoms and report any infections to the Federal Bureau of Investigation through the government’s Internet Crime Complaint Center. 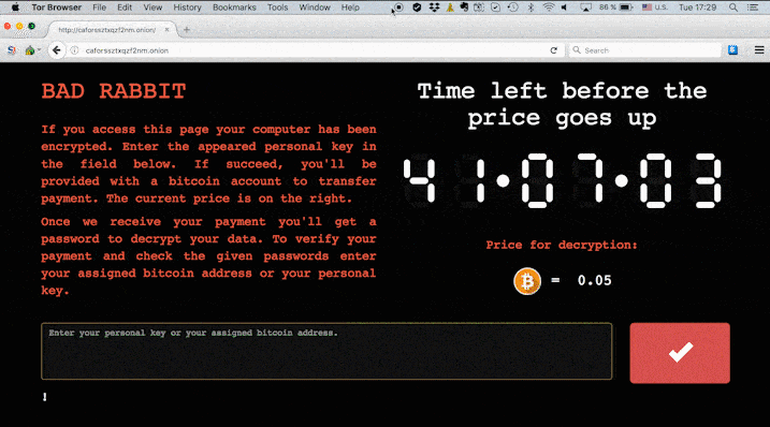 Ransomware infections have the potential to halt activity at targeted organizations. The May “WannaCry” ransomware shuttered hospitals, factories and other facilities around the globe for days. Super-rich clients of offshore law firm Appleby are bracing themselves for the exposure of their financial secrets, after the firm admitted data had been stolen in a cyber attack last year. 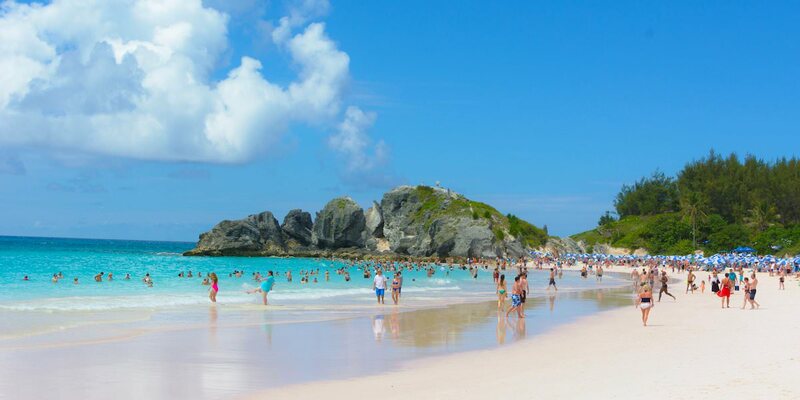 The Bermuda-based law firm admitted it was "not infallible" and said some client data had been stolen in the hack, but denied any wrongdoing. The International Consortium of Investigative Journalists (ICIJ) has since approached the firm with allegations of wrongdoing, after it was handed data obtained in the hack, which Appleby strongly refutes. Appleby said in a statement it did not tolerate "illegal behaviour," and said the ICIJ's allegations were "unfounded and based on a lack of understanding of the legitimate and lawful structures used in the offshore sector." The firm said it had investigated the allegations "thoroughly and vigorously," and was satisfied there was no evidence of wrongdoing "either on the part of ourselves or our clients." The ICIJ and its media partners are reportedly planning to publish a series of stories based on the allegations. The news comes 18 months after the release of the so-called "Panama Papers" breach, in which 11.5 million documents were leaked from law firm Mossack Fonseca. The leak led to a series of high-profile scandals, including the resignation of the Prime Minister of Iceland after it was alleged he had hidden millions of dollars-worth of investments in an offshore shell company. 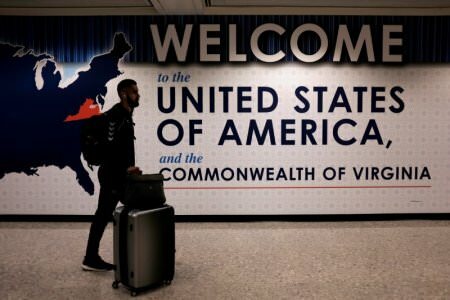 New rules on all U.S.-bound flights take effect on Thursday including stricter passenger screening to comply with government security measures designed to avoid expanding an in-cabin ban on laptops, airlines said Tuesday. Airlines contacted by Reuters said the new measures, which could include short security interviews with passengers, would be in place by Thursday. They will affect 325,000 airline passengers on about 2,000 commercial flights arriving daily in the United States, on 180 airlines from 280 airports in 105 countries, and industry trade group Airlines for America has said the changes might cause disruptions. The U.S. announced the new rules in June to end the government's restrictions on carry-on electronic devices on planes coming from 10 airports in eight countries in the Middle East and North Africa in response to unspecified security threats. Those restrictions were lifted in July but the Trump administration said it could reimpose measures on a case by case basis if airlines and airports did not boost security.